Shelving or lighting? You decide…! Open shelving has been the hottest interior decorating trend over the last couple years. 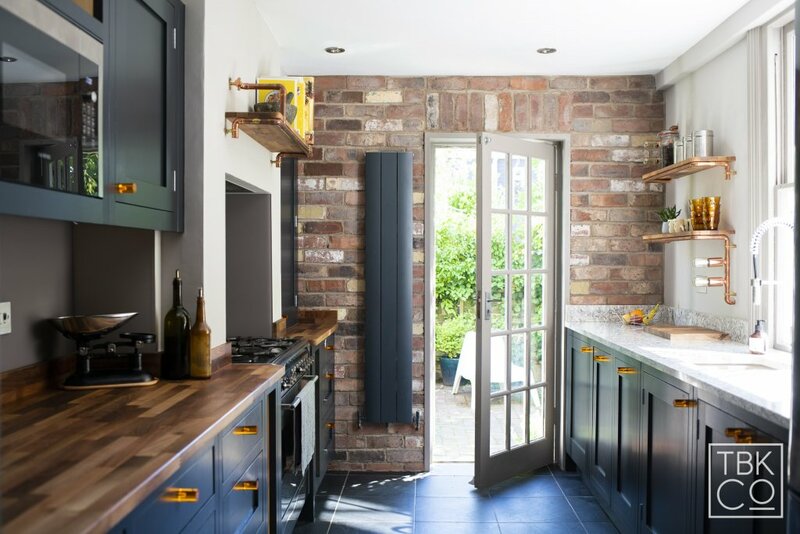 It’s the perfect way to create intriguing vertical storage, personalise your space, and inject colour. 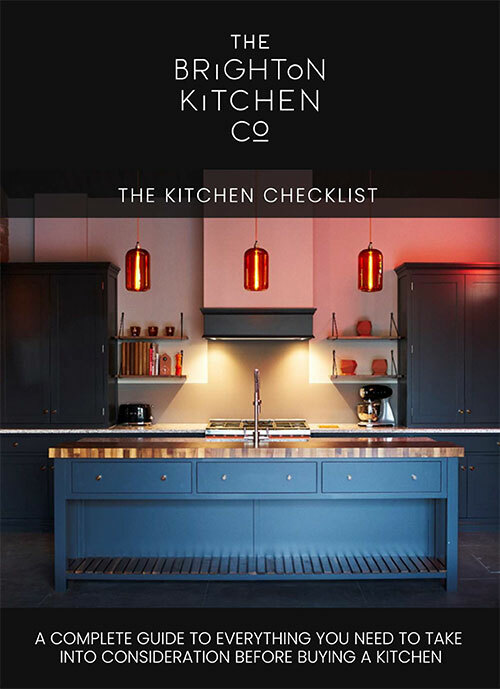 With this galley kitchen we wanted to maximise the feeling of space which felt like the perfect opportunity to use bespoke shelving. We designed this custom-made shelving and lighting solution in house and collaborated with House of Solas to make it a reality. 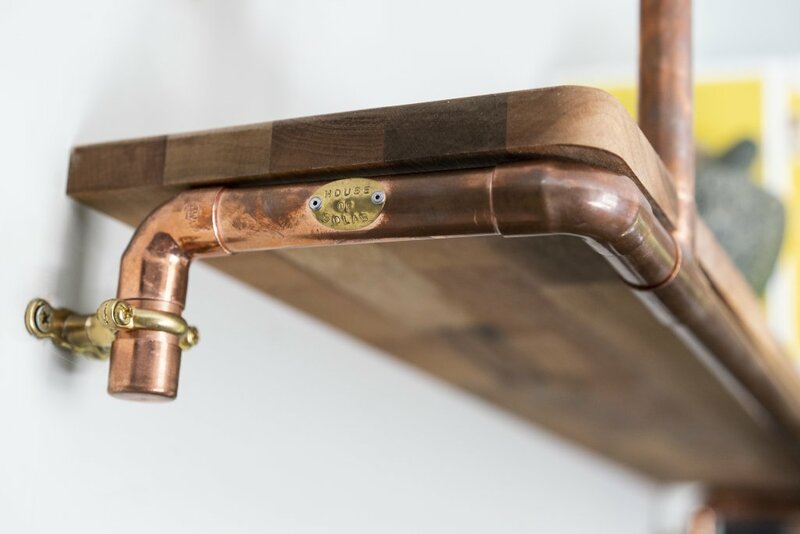 They crafted copper pipework brackets which double as lighting. 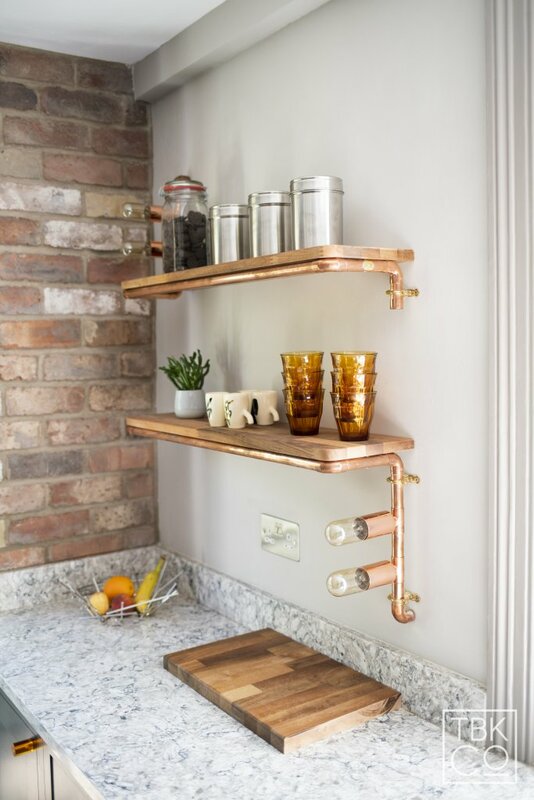 It uses the ever so industrial filament bulb with block style walnut wood shelves to contrast yet compliment the copper. These industrial elements create points of interest throughout the space and reflect the client’s urban chic style brilliantly.